"Sampath Speaking" - the thoughts of an Insurer from Thiruvallikkeni: Remembering Perunthalaivar Kamaraj ~ the man who fed the poor students ! Remembering Perunthalaivar Kamaraj ~ the man who fed the poor students ! 2nd October ~ Nation should be remembering this simple man, who stood for poor. It is 42 years since he passed away ! Known for his integrity and his modesty in conduct, this gentleman exercised his political power for the benefit of the masses. Dealing with significant phases of his life the author explains his actions in a larger historical context. He got arrested for the second time in 1932, then again in 1940 and still later in 1942 during the Quit India movement. He happily surrendered to the police. He was a full-time patriot, unafraid of going to jail and not making political gains out of it. Can you name him ? ~ did you remember him today ?? ~ he too was an Opener, having started something anew ! Down South on the banks of river Thamirabarani lies the hamlet Cheranmahadevi, which in someways changed the way children go to school in our Great land…………………. It is stated that decades ago, the then CM of Tamilnadu, saw a boy near the town of Cheranmahadevi herding livestock he asked him, “What are you doing with these cows? Why didn’t you go to school?” The child immediately retorted, “If I go to school, will you give me food to eat? I can learn only if I eat." Unknowingly, this young boy had touched on a critical problem facing the nation’s children: they cannot learn on a hungry stomach. His simple response sparked a series of events which gave rise to the Mid-day Meal Scheme as it is known today. Started in the 1960s in Tamil Nadu, the program was set up to reduce hunger and encourage universal primary education. The key objectives of the programme was to protect children from classroom hunger, increasing school enrollment and attendance, improved socialization among children, addressing malnutrition, and social empowerment through provision of employment to women. The scheme introduced statewide by the then Chief Minister K. Kamaraj in 1960s was later expanded by MG Ramachandran’s government in 1982. It has been adopted by most Indian states after a landmark direction by the Supreme Court of India on November 28, 2001. The man of the masses undoubtedly is : Kumarasami Kamaraj ,[K. Kamaraj] acknowledged as the "Kingmaker" in Indian politics during the 1960s, was the Chief Minister of Tamil Nadu during 1954–1963 and a Member of Parliament during 1952–1954 and 1967–1975. He was known for his simplicity and integrity. As the president of Indian National Congress, he was instrumental in navigating the party after the death of Jawaharlal Nehru and bringing to power two Prime Ministers – Lal Bahadur Shastri in 1964 (whose birthday falls today) and Indira Gandhi in 1966. Back home, he is remembered for bringing school education to millions of the rural poor by introducing free education and the free Midday Meal Scheme during his tenure as chief minister. 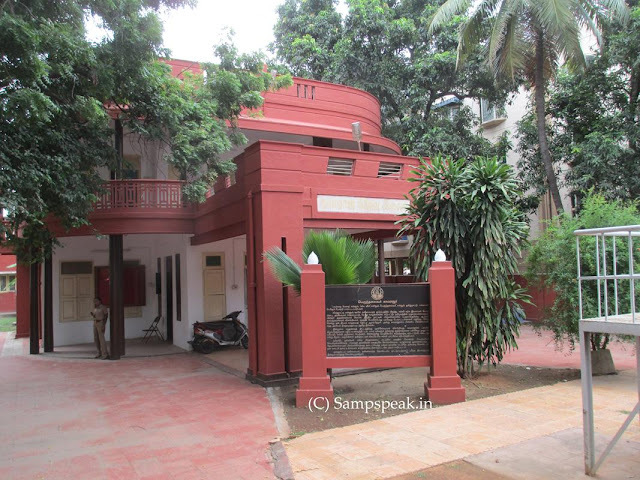 Kamaraj was first jailed in June 1930 for two years in Alipore Jail, Calcutta, for participation in the "Salt Satyagraha" led by Rajagopalachari at Vedaranyam. 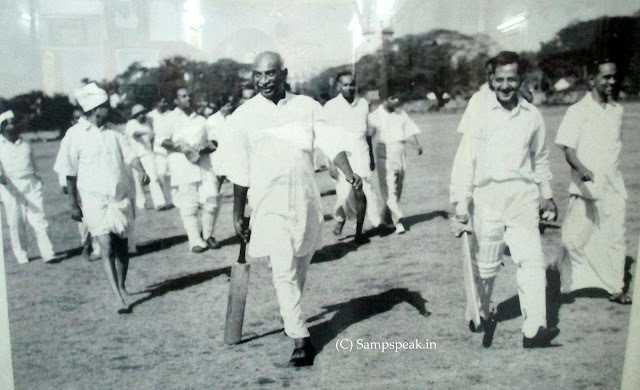 In 1942 Kamaraj attended the All India Congress Committee in Bombay and returned to spread propaganda material for the "Quit India Movement" called by Gandhi. Kamaraj was imprisoned six times by the British for his pro-Independence activities, accumulating more than 3,000 days in jail. In April 1954, Kamaraj became the Chief Minister of Madras Province. To everyone's surprise, Kamaraj nominated C. Subramaniam and M. Bhakthavatsalam, who had contested his leadership, to the newly formed cabinet. Kamaraj remained Chief Minister for three consecutive terms, winning elections in 1957 and 1962. Kamaraj passed away on 2nd Oct 1975 at the age of 72. Indira Gandhi was considered the least likely in the Central Intelligence Agency (CIA)’s list of dark horses to become Prime Minister after Lal Bahadur Shastri’s sudden death in 1966 while Congress president K. Kamaraj “probably” had the broadest support in the party. He was posthumously awarded India's highest civilian honour, the Bharat Ratna, in 1976. The domestic terminal of the Chennai airport is named "Kamaraj Terminal",- the beach road was renamed "KamarajarSalai", Bangalore's North Parade Road as "K. Kamaraj Road" and the Madurai Kamaraj University also stands in his honour. He was humble, good, heard the poor and worked for the poor – but .. .. sadly, how did Tamil Nadu treat him is sordid saga ! People would remember history well and the cruel ways - such a popular leader and good person was ridiculed by his political rivals citing his physique and in 1967, Kamaraj lost his seat in Virudunagar by 1285 votes to the student leader P. Seenivasanof DMK. 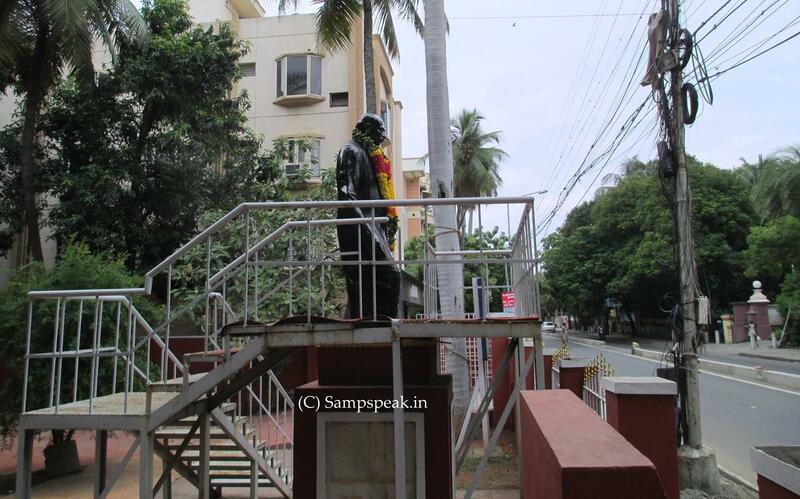 If you do not know or have not visited, there is a memorial in Chennai – just away from the bustling T Nagar, on Thirumalai Pillai Road stands this simple building that houses the memorabilia associated with the great leader. The memorial, spread on the two floors of the building, showcases the personal photographs and items related to Shri Kamaraj, providing an insight into his life. The ground floor has a bedroom which was once the personal den of this well-regarded personality. The room is adorned with plain furniture, symbolizing the plain and simple life Kamaraj led. There is also a well stocked library in the house, occupied by the books like volumes of 'Lok Sabha Debates', '100 Modern Lives', 'Churchill' and 'Doctor Zhivago'. Though Shri Kamaraj had to put an end to his formal education in his early days, he became a well-read man, fond of reading several books. The man changed the way poor village children went to school ! Nostalgic. My old days remembered. I was one lucky to have seen him in action. Sir, We have great admiration and respect for the great leader who REALLY cared for the PEOPLE. He opened the eyes of the student community by offering free education upto the School Final. Would you please let me know who owned the house on Thirumalai Pillai Road, T. Nagar, Chennai -17?